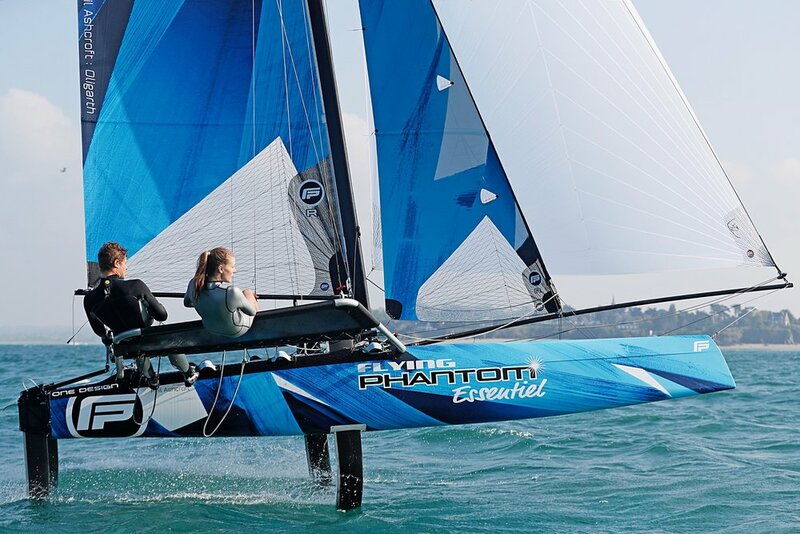 The Flying Phantom ESSENTIEL is an 18’ versatile catamaran easy to use and able to fly in a wide range of conditions. 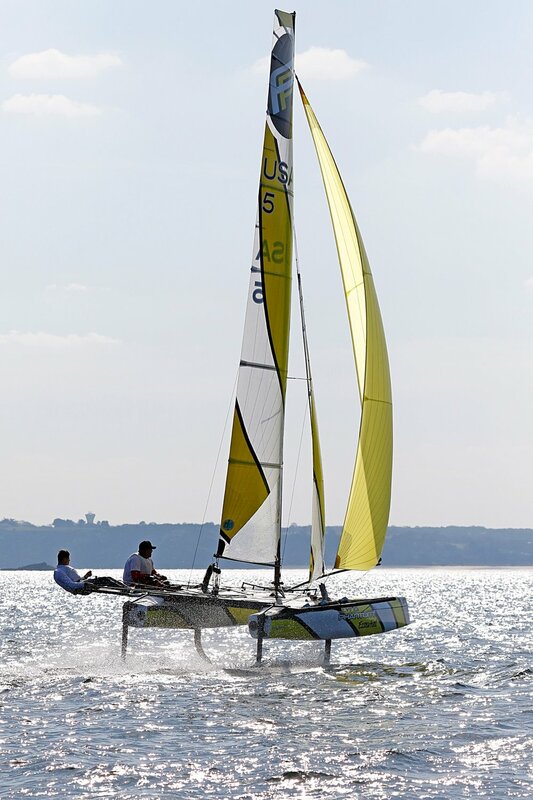 The foil configuration makes the boat more user friendly and less physically demanding for the crew. 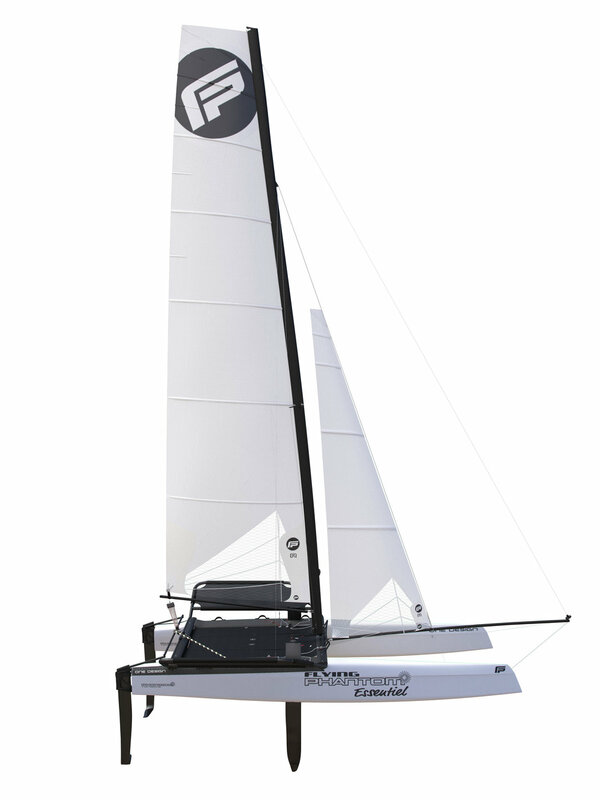 The FP ESSENTIEL was first launched in December 2016 after several years of experience pioneering foiling catamarans. 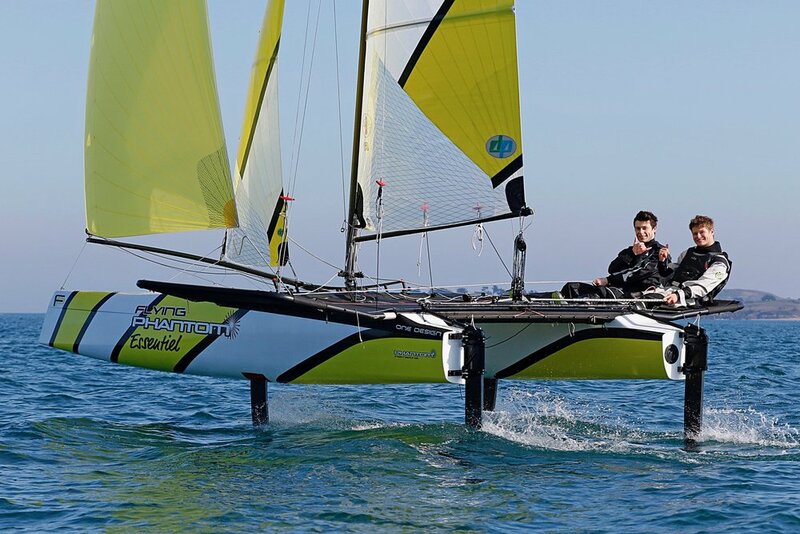 It is designed to deliver pure foiling pleasure to a broad spectrum of sailors wishing to move on and enjoy a new way of sailing. 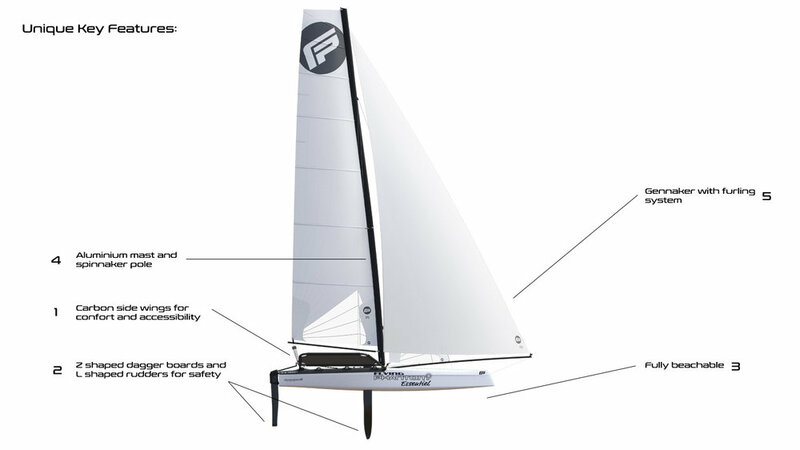 The FP ESSENTIEL can reach 20 knots in 10 knots of wind, with top speed over 25 knots. Get ready for take-off! 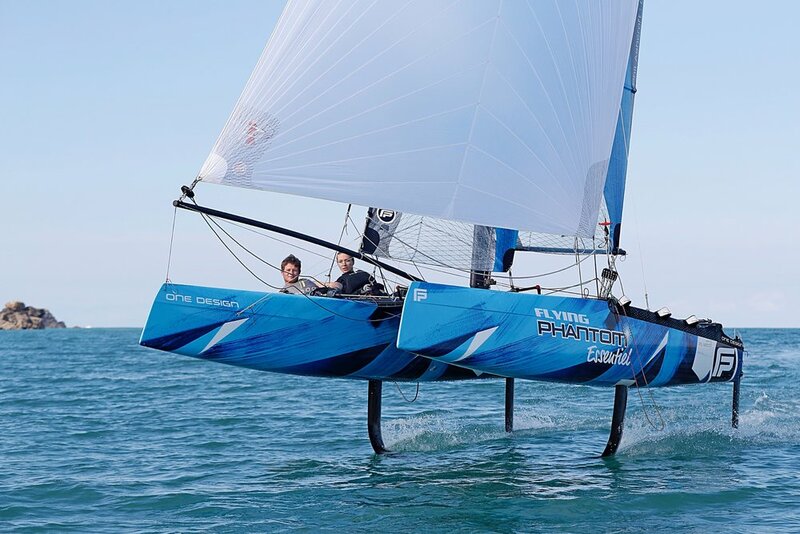 Nothing sounds like a foiling boat. Forget about the noise of the waves crashing on the carbon hulls. You'll just hear the vibration of appendages, and the wind, just the wind, with a unique feeling of speed and freedom.